Special note to our residents: Please register with this site to access private areas available to residents only. Requests are monitored daily. You should receive a response within 24 hours. Did you know that the 911 Center operates the “Are You OK?” program, which telephones elderly citizens on a daily basis who have subscribed to this free service? For more details, go to Are you okay?. Re-Posted: 11/02/2017. Coyotes have been spotted around our homes here in Marleigh Farm. In the interest of neighborhood safety we offer the following information. Coyotes are opportunistic feeders and will eat almost anything, from mice and other rodents, to the food you put outside for your pet – or even your pet. And where they can find food they will stay and breed. Coyotes now inhabit suburban and even urban neighborhoods nationwide. Coyotes are normally shy of humans and will avoid us, however, it is possible, although very rare, for them to attack small children. We recommend that homeowners spend some effort making our neighborhood unattractive as a coyote hunting and feeding area. 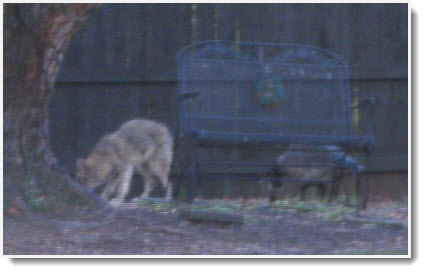 Note: Because coyotes are common in Cobb, it is unlikely that Animal Control will respond to complaints. However, if coyotes attack, behave agressively, or otherwise cause concern for safety, please don’t hesitate to contact local authorities. The MFHA will not tolerate unlawful activity and those who choose to participate in these activities will be prosecuted to the fullest extent of the law. Trespassing is a violation as well, and if you or your children are at the Common Area after hours, you or they are trespassing. Parents, it is your responsibility to know where your children are. If you are interested in meeting with other community residents to discuss solutions, please contact the MFHA. The lack of regular maintenance of rental properties is becoming an issue in the neighborhood. Please remember that ALL homes in our community must be maintained in accordance with our covenants. If you own or rent a property in Marleigh Farm, be sure that Tolley Community Management (see left menu for contact information) has the homeowner’s current contact information on file in order to remedy violations in the quickest and most cost effective manner. Notices, abatement and court costs increase our management costs and may result in increased dues for everyone. For the past several years, you may have received by mail an invitation that indicates our neighborhood uses a free private network, nextdoor.com, to share neighborhood information. We do not use or endorse this site, post any official information, and most importantly, have no control over what happens with your registration information. Nextdoor is a social networking site that collects member’s information for marketing purposes. Additionally, anyone can create an account for our community to monitor our communications. “Our” neighborhood is currently over 60 communities and thousands of accounts. Feel free to use this site if you wish, but please note that all neighborhood information is posted here on MarleighFarm.com, and all correspondence from our neighborhood comes via Tolley Community Management and no other return address. For everyone’s online safety, please refrain from posting your or your neighbor’s personal information, including telephone numbers, email addresses, schedules, etc. on social media. We have witnessed multiple cases of this on Nextdoor. It is a public website accessed by thousands of people. 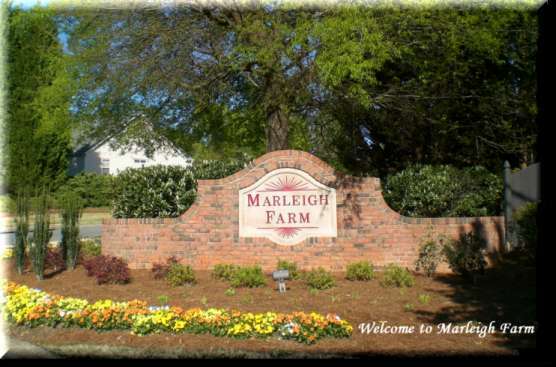 If you have any questions or concerns, contact us at admin@marleighfarm.com. We have received a number of complaints from homeowners who live around the Common Area that people cut through their yards to access the park. While it is a long walk around, cutting through yards is trespassing. Please be considerate of our neighbors’ properties that border the Common Area and walk around! The weather is nice and exercise is good for you! Click here to view projections for Cobb County through 2040, based on a study by the Atlanta Regional Commission. We have now accrued a considerable sum to repair damage caused by vandals. Particularly, spray-painted signs, boards that are repeatedly removed from the play set and benches, broken lighting, and the removal and replacement of the picnic tables in the pavilion. We all pay for these repairs, so if you have older children, let them know that when vandalism occurs, you are paying for the repair! Please report any incidents of vandalism immediately. Call 911 if you witness vandalism in progress, or notify admin@marleighfarm.com or call Tolley Community Management if you see damage. Description: Additional turn lane and school entrance improvements. Construction is expected to begin 08/09/2018 and to be completed by February 2020. Description: Construct roundabout to replace existing 4-legged all-way stop intersection, improve school entrance. Construction is expected to begin 08/09/2018 and to be completed by January 2021. For details about these and other projects in Cobb County, visit the Cobb County 2016 SPLOST page. Search for projects by type and name. Neighbor reports: Received knock on the door 03/04/2018 at approximately 6:15pm: black male, 18-25 years old, wearing a white t-shirt over top of a red long sleeve shirt and khaki pants. The man left seconds later, before we reached the door. He was going door to door and made eye contact with a neighbor, who asked him what he was selling. He ignored the neighbor and kept on walking down the street toward Hollyhock Way, still going door-to-door. Cobb County PD was contacted with the description. Due to previous car break-ins that we’ve had in the neighborhood, as well as the door-to-door solicitations of the past week, just wanted to put everyone on alert. Admin Note: All door-to-door solicitors must be registered with Cobb County and wear their issued ID. Per Cobb County Code Enforcement, the only recourse is to contact Cobb County Police. Please note that there is no dumping allowed on MFHA property. All residents, whether homeowner or renter, are responsible for arranging trash pickup. There is no community-wide service, and items left at the park will not be removed. Update: If you know who dumped furniture in the parking lot of the park March 4, please ask them to remove it. If it remains, community funds will have to be used for disposal. Call (770) 528-1653 to ask for an explanation or voice your concerns. Thank you to the neighbors who have delivered my mail to me. Have you had questions about your mail also? Donna Fitzgerald is the Supervisor of Mail Delivery and you can contact her at 770-528-6432. Editor’s note: This is a frequent problem in our subdivision. Please call to report receipt of mail addressed to someone else. If they hear enough complaints, they may also take action.